A few years ago I watched a movie trailer, but now I can’t remember the name. It was about someone whose shadow didn't follow him. It was like a regular shadow, but it wasn't doing the exact things that the man was doing. 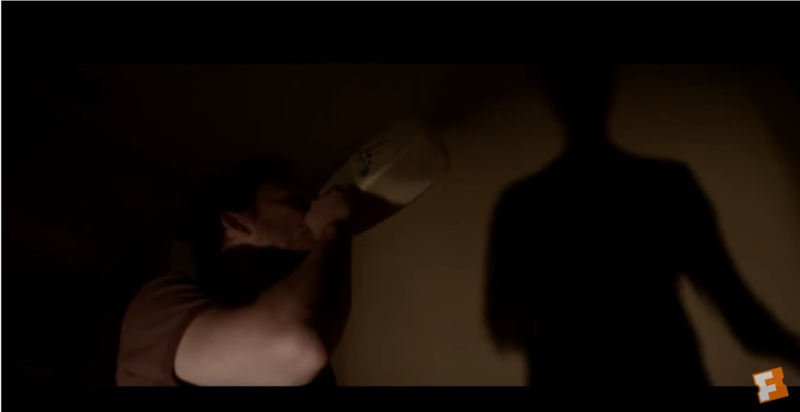 For example, the man opened the refrigerator while holding a bottle of milk, but the shadow stood behind him without doing anything. There was also another scene; the shadow's hand came out of the wall. The movie was not animated and the language was English. Here is the link to a Youtube trailer that includes the scene you mention. This movie features the "shadow people," nocturnal nasties that kill people without leaving a trace. Interestingly, some people believe this to be a real-life phenomenon. Better stock up on RnA drops! What was that movie where people drilling in an asteroid awaken a monster?